Anyone who knows me—or occasionally checks in on me, here—knows that I’m a total summer girl. I live for long, sunny days; beach weekends; steamy weather; and as much time in the sunshineВ as I can possibly manage. I’m having a very-NYC Memorial Day weekend: going to a friend’s BBQ in Brooklyn, tomorrow, and to the beach (Rockaway) on Monday—as long as the weather holds out. 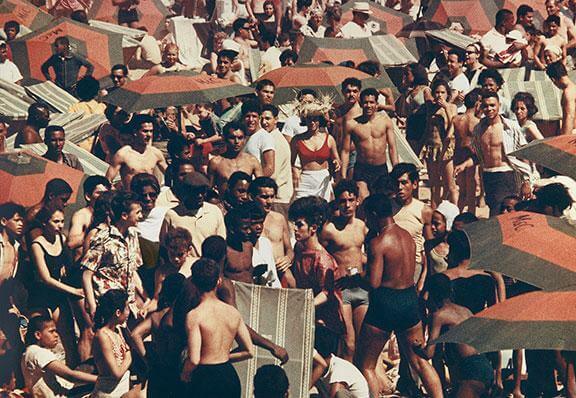 This even earlier shot of Coney Island, from 1947—can you believe the crowd?! Speaking of Rockaway—have you seen this proposal to bring a glampground there? Um, this has to be one of the craziest ballet photos I’ve seen! For those of us superstitious about 8s and 4s—this made me laugh.